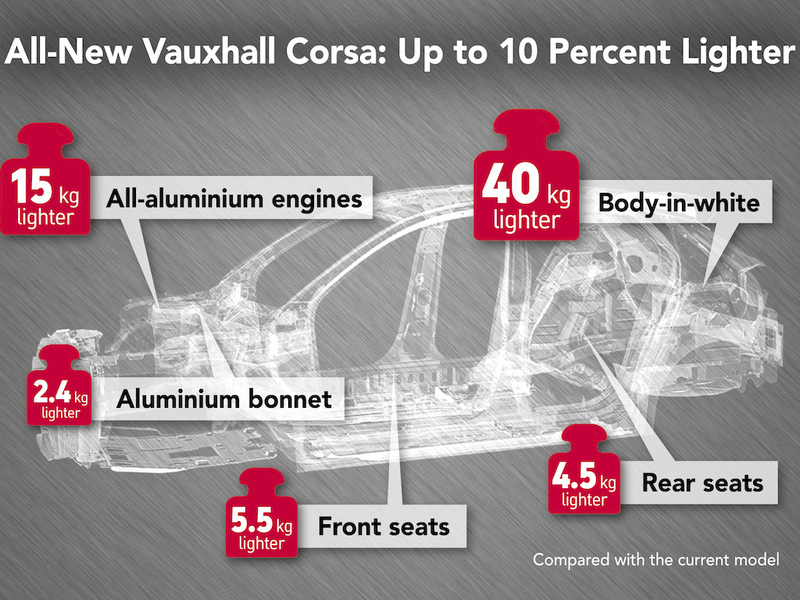 Vauxhall’s sixth-generation Corsa will offer a considerable reduction in fuel consumption and CO2 emissions; the result of a drastic weight loss as well as enhanced aerodynamics and powertrains. 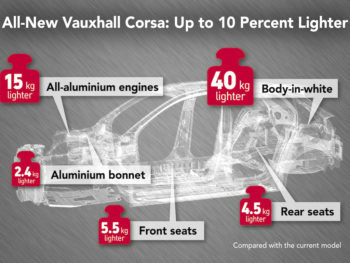 Vauxhall is also yet to reveal the Corsa’s styling but a recent teaser revealed the car’s IntelliLux LED headlights. Previously seen on Astra and Insignia and billed as a segment first for a supermini, these automatically and continuously adapt the illuminated area in line with traffic conditions to ensure other drivers aren’t dazzled.